Hallelujah – spring is finally here! While we’re still a few days from fully shedding all of our layers, there’s no better time to blow the dust of our cocktail cabinet. Spring is the perfect entertaining season, and the best way to entertain is with some ice-cold batch cocktails. Picnics, garden soirees, intimate dinner gatherings – not only is it convenient to have the party juice already prepared, but you can save the hassle of clearing fridge and esky space for errant six packs and wine bottles. Break out the punch bowl and wash out the pitchers, it’s batch cocktail season baby! We’re kicking things off with a sure-fire favourite. We’re yet to meet someone that doesn’t like rosé and sangria, and to be honest we never want to. The two are synonymous with warm-weather fun. This special rosé-based all-day sangria is perfect for bulk concoction, made from a simple recipe of Persian cucumbers, rosé, vermouth, citrus soda such as Limonata, and a bunch of mixed herbs. Chill the mixture for three hours and then disperse among ice-filled glasses. Voila – perfect spring vibes attained. If there are two words that sum up perfect summer sipping, it’s iced tea. 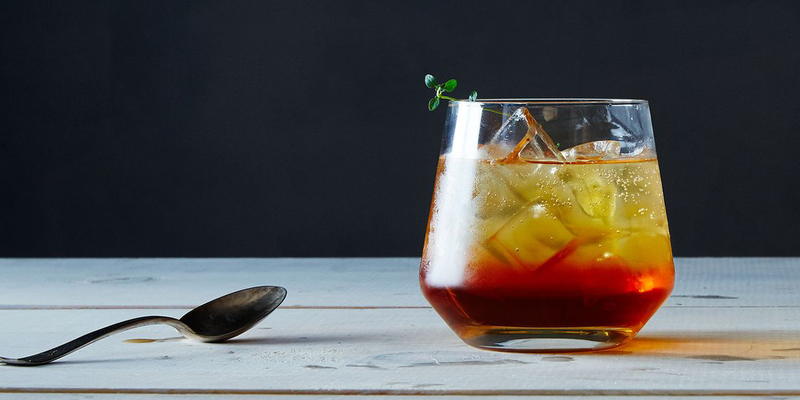 This recipe riffs on an iced-tea recipe formulated by a few boutique coffee spots overseas, infusing black tea and thyme with soda water and lemon, and a hearty dash of bourbon for that necessary kick. To make the syrup, simply mix water, sugar, black tea (Darjeeling if you’ve got it), two teaspoons of dried thyme and a cinnamon stick, bring it to the boil and stir. After removing from heat, let the mixture come to room temperature and strain into a glass jar. From there, fill a jug with ice, add the syrup, lemon juice, bourbon and soda and then serve with a sprig of thyme to lemon wedge as garnish. Spring is all about fun, and there’s no cocktail on this list more fun than this one. From frosé to frozen margaritas, the slushie craze is far from buried – now we’re just doing our freezing at home! Nab yourself a bunch of lemons, cut them into halves, scoop out the fruit and set aside. Then mix vodka, pink lemonade and ice in a blender and mix until smooth. Now, grab an ice-cream scoop and portion out the icy mixture into the lemons. 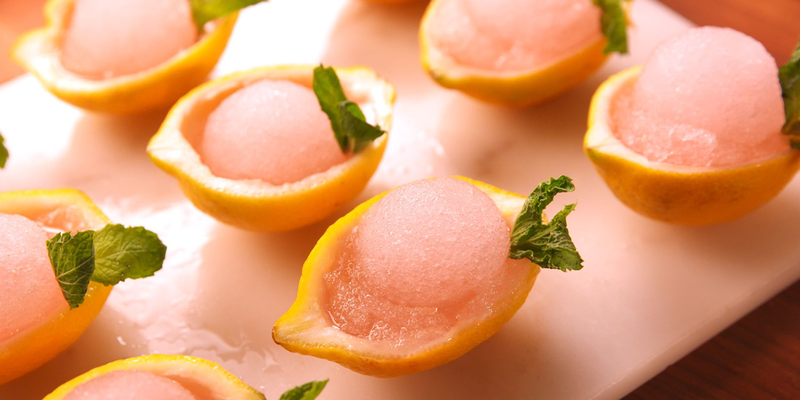 Garnish with mint and serve to your pals – we’re pretty sure they’ll be tickled pink with the serving method. A traditional punch will never go out of style, but if you are worried about impressing new and old pals, we suggest sprucing up your punchbowl with this concoction. This pisco punch requires a bit of preparation, but it’s worth it. 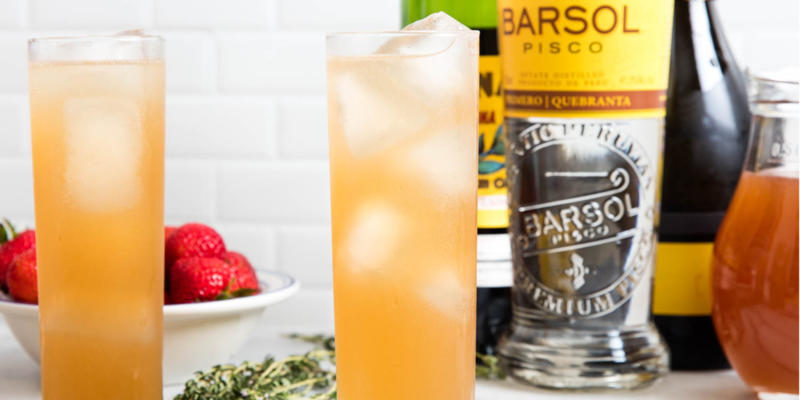 Simply whip up some strawberry and thyme syrup then concoct a potent punch mix using said syrup, pisco, Bonal (a slightly bitter French aperitif) and fresh lemon juice. Fill a Collins glass with ice, followed by some sparking wine and punch mix, then simply stir and serve. Consider your punch game elevated. You’d be right in assuming that grapefruits are sour enough without imbuing them within a cocktail, but this surprisingly refreshing recipe doesn’t require you to hack apart several fruit to make. 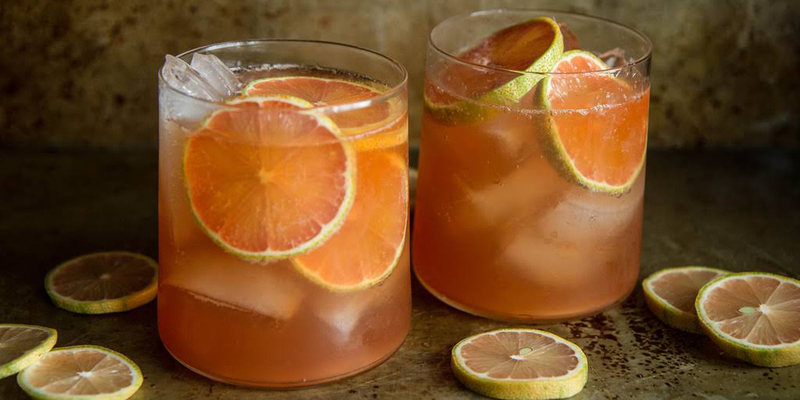 Simply mix your choice of whisky with cold grapefruit soda in a glass, then add ice and lemon wedges and serve. Scale up the proportions and you’ve got a reliable batch drink that is a cinch to make.